With spring approaching Hopewell Junction, NY, you might be looking forward to seeing the trees in your orchard or yard flourish. However, your trees can only burgeon to their full potential if they are properly pruned. And it’s not only for promoting growth; pruning plays a major role in keeping your trees healthy year around. Pruning during the winter is a vital part of keeping your trees thriving in cold, harsh conditions. It reduces the need for extra nutrients and water which can be harder to assimilate in the cold. It’s also prime time for removing any ailing or dead branches, which can also be a safety hazard during heavy snow and storms. Diseases and insects are also less active in the winter, which means pruning in winter makes trees less susceptible to pests. Finding the optimal level of pruning is crucial, which is why an arborist is highly recommended for the job. Depending on the species, the size of the tree, its health, and a number of other variables, a professional can prune to the right specifications to produce the best growth come spring. The right level of pruning can play an important role in promoting flower and fruit growth in spring. The spring growth spurt produces more abundant flowers and fruits with stronger buds that are less likely to be damaged by diseases or insects. Likewise, lighter pruning in the spring can help clear up area for the proper circulation of air and easy access to sunlight, helping the fruit to ripen faster. In both scenarios, the right level of pruning is essential, as too little, or too much, can have negative effects - which is why a professional arborist can be invaluable. Letting your trees get too unruly is not only a health hazard, it also makes your yard look messy. 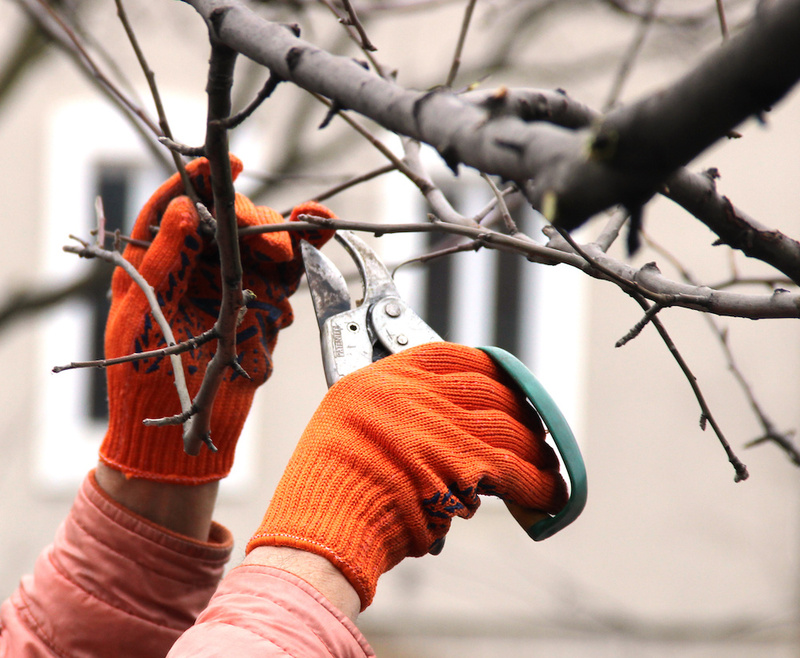 A good pruning can help keep those stray branches under control and give your trees a suitable shape that melds with the surroundings. For smaller yards, size can also be an issue, as overgrown trees can make the area seem more constricted. Some plant species also necessitate root pruning, restricting the growth of roots which can cause issues in smaller yards. For more formal yards, pruning can also be used to create special effects. Topiaries, for example, can transform your yard into a work of art. Naturally, this is a specialized job, as it not only requires artistry but also an in-depth knowledge of the species of tree and its structural integrity. An overgrown tree can be a safety hazard, which makes timely pruning an essential annual practice. Overgrown trees are more likely to collapse under heavy snow and winds, especially if they have an abundance of dead or diseased branches. Similarly, overgrown trees can also be a threat for overhead utility lines, especially if they tend to sway a lot. Pruning not only makes your yard safer, having a professional inspect your trees can also help you avoid any accidents proactively.